This procedure is a manual exfoliation treatment that removes the outer most layers of dead skin cells, leaving the skin immediately smooth, supple and vibrant. A surgical scalpel is utilized to gently remove the natural build up that occurs on the surface of your face. Once the exfoliation is done the patient will enjoy the benefits of having no villus hair (aka peach fuzz) on the face and better skincare product penetration and performance. what are some of the benefits of dermaplaning? The procedure is entirely painless with no required downtime following treatment, ensuring that you can jump back into your daily life with an extra glow. 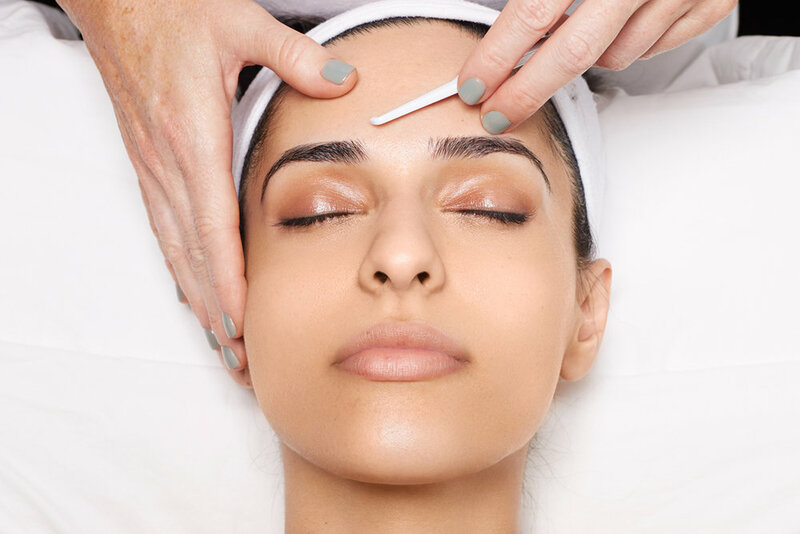 Dermaplaning is especially great for patients with sensitive skin, as well as pregnant women looking for more of a deeper cleanse to their skin. Skincare products and other treatments will be even more effective following the removal of the dead skin layer. Makeup application will be smoother and more even. Hair removed will not grow back thicker and darker. Post-inflammatory scars from previous acne can be significantly lightened in appearance. We recommend avoiding this treatment if you currently have active or cystic acne in order to avoid further irritation to your skin’s surface. Additionally, this treatment is not recommended for people with hirsutism.